For nearly a century, auto manufacturers focused on developing safety features, such as seat belts, air bags, and crumple zones, to prevent fatalities and reduce injuries after an auto accident occurs. Over the past two decades, new technologies to improve auto safety have grown by leaps and bounds. As a result, auto makers are taking auto safety to the next level by introducing technologies designed to prevent accidents before they occur. 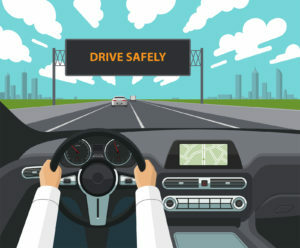 Some of these crash-avoidance technologies, such as rearview cameras and lane-departure warning systems, have been around for a number of years. Newer auto safety products that include sensing technology are coming onto the market every year. Some have already become standard equipment on most models. Some are included as standard equipment on luxury models and optional on other cars. Others are still options on all models. As a result, today’s new cars vary widely in the types of crash-avoidance technology that comes standard or can be selected as an option with each model. Fortunately, the Insurance Institute of Highway Safety (IIHS) offers a searchable database of six different types of collision-avoidance technologies. Their website allows you to search by make and model to find which of these technologies are available on any given model in the U.S. In the meantime, here are five auto safety technologies you should strongly consider for your next new vehicle purchase. Low speed system. Designed for use on city streets, low-speed detects vehicles in front of you to prevent help prevent rear-end collisions. Higher speed system. Using a long-range radar for faster speeds, it can scan up to 650 feet ahead of your vehicle. Pedestrian system. Picks up pedestrian movement in relation to the direction your vehicle is traveling and determines the risk of collision. Some AEBs come with auto steering capabilities. When these systems apply the brakes, they can take over the steering to guide around a pedestrian or object in the car’s path. AEB is currently standard equipment only on luxury cars, but is available as an option on others. Major automakers have agreed to make it standard equipment on virtually all new cars by September 2022. A type of rearview monitoring technology designed to prevent low-speed accidents, the backup camera has been around a while. Its 360-degree camera system combines cameras on all sides of a car with external sensors and a visual display inside the car. 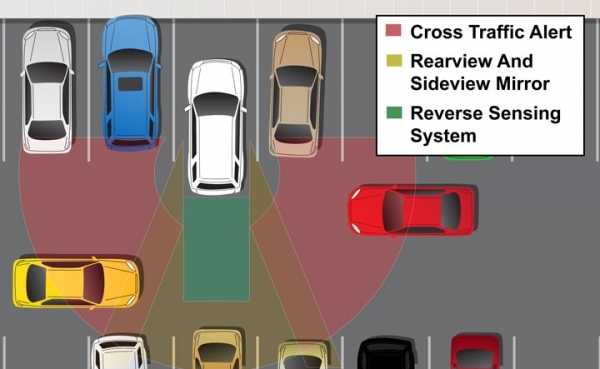 Drivers can easily see what’s happening behind their vehicle, making this technology ideal for parking and other situations that require backing up. If the vehicle gets too close to another car or object, most systems alert the driver with an auditory signal indicating the need to put on the brakes. Originally introduced as an option, rearview monitoring technology is now required by federal law to be installed on all new passenger cars, trucks, vans and other vehicles weighing less than 10,000 pounds. Drivers straying outside their lanes, whether due to inattention, fatigue or other factors, are a major cause of auto collisions. Lane departure warning helps prevent distracted driving errors by using cameras to determine when a vehicle drifts outside of its lane. It then sends an alert – either visual, audio, or vibration – to the driver. Lane departure systems merely send the warning. If the driver doesn’t respond to the warning, lane keeping systems will automatically take steps to make sure the vehicle stays in its lane. Lane keeping systems are especially useful when a car drifts into a lane with oncoming traffic. 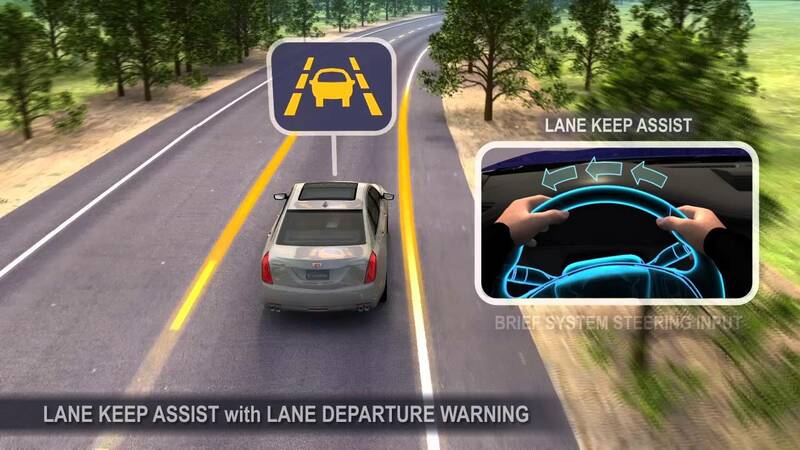 First introduced in America in 2004, lane departure warning systems were originally offered only on luxury vehicles. They are now available on many popular compact and midsize sedans, often as part of a driver safety package that contains other collision-avoidance technologies. As the number of auto accidents due to cell phone usage and other distractions continues to climb, safe driving apps are becoming increasingly important as a collision prevention technology. For example, connecting Bluetooth to smartphones can prevent accidents and save lives by allowing hands-free talking, voice texting, and programmed messages to respond to income calls. Other apps enable drivers to control music, heating, and other systems with voice commands rather than having to take their eyes off the road to punch a button or turn a knob. Best of all, these apps don’t cost much, are easy to install, and work on just about every make and model of cars. This technology takes backup camera safety another step by alerting drivers to approaching objects in addition to stationary ones. Also available in the front of the car, cross-traffic alert systems can spot everything from approaching vehicles to pedestrians, carts, animals, and people – anything that suddenly comes within range of the cameras. This makes them very useful in situations such as backing out of parking spaces and crossing an intersection. Some cross-traffic alert systems only cover the rear of the vehicle, some only cover the side. Some only warn the driver of the approaching object. Others can automatically brake. When selecting this option for your vehicle, be sure you understand its features and capabilities. Collision prevention technology isn’t a cure-all for eliminating auto collisions. The most important safety factor remains alert drivers paying attention to what’s happening around them. But, with so much at stake, it makes sense to use these life-saving technologies whenever possible.